that the natural movement patterns and balanced nutrition are fundamental to your health and well-being! We will make your body recall some long-forgotten exercises, will help you overcome the negative consequences of the long hours spent in front of the computer, to optimize your nutrition habits and to boost your performance and physical fitness. this novel training experience – an exercise system based on yoga, primal moves and restorative exercise. how easy it actually is to improve your eating habits and to bring your body back in balance and shape. live a healthier life and enjoy the natural movements that your body will fall in love with. Anna has been intensively involved in sports activities since her early childhood and namely her passion for exercise and physical activity brought her to the National Sports Academy where she started her Physical Therapy education. During her Bachelor’s Degree studies, Anna spent several exchange periods in the Tartu University, Estonia and the Masarikova University in Brno, Czech Republic where she was fascinated by the significant impact of physical activity on human health and decided to continue her education in that filed. 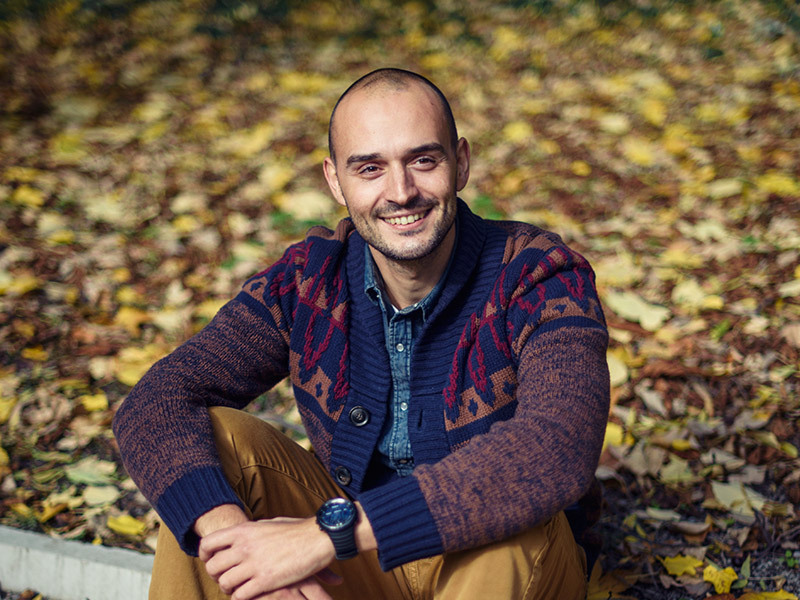 Born and raised on the skirts of Vitosha Mointain, Tsvetan has been extremely passionate about mountaineering and outdoor activities from a very young age. Sports medicine, high performance training and nutrition have always been among his biggest passions that, as no surprise to anyone, brought him to the Physical Therapy Department of the National Sports Academy. The time spent at the Academy and the Free University in Brussels, Belgium further strengthened his interests in the field of human nutrition and his willingness to gain a better idea of how food affects our health. We created a small boutique studio, and not a huge gym, as we would like to personally know you and to ensure that whatever we do is best for you and your body. It took us a long time of consideration and research in order to be able to pick the Movelicious Studio’s location as we wanted it to be convenient and accessible, yet calm and easy-going. Here you will have the chance to escape from your daily routine, to make something significant for yourself, to have a cup of tea and to enjoy some funky music. 2, “Francis de Pressense” str.